Do you ever wish that you could wave your magic wand and make your upcoming move disappear? Then pick up your phone and dial 020 8746 4402 now. Our removals company in Sutton, SM1 is here to be your fairy godmother and can make your house or business removals in Sutton something to truly remember. With state-of-the-art moving vans and professional movers, our firm can make light work of almost any move. 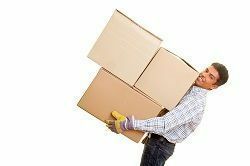 Should you need any additional support with your move then our team can even arrange to have your household or business items packed up safely and securely in just a matter of hours. So if you want your move to have a fairy tale ending, remember to call Moving Service and see what we can offer. All of our removal services in Sutton are listed and can be booked via our sales hotline in just a couple of minutes. If there’s anything that you’re not sure of, make sure you ask one of our advisors as there is very little that our movers can’t do! The area is a leafy town in southwest London and is 10.5 miles from Charing Cross. With good over-ground train links, it has become popular with commuters whilst retaining its own distinctive town centre and character. The area is defined as one of London’s metropolitan centres and has an important shopping centre focused on the bustling Sutton High Street. Here, there are a wide range of high-street shops, restaurants and bars which stretch for almost a mile towards to the main train station. Two shopping arcades can also be found here along with the historic town square and popular market attractions. The Sutton Green and Manor Park grassland areas also make this district popular with young families and couples who want to escape the built-up landscape of inner city life. Fast train services can link commuters to the central stations of Victoria and London Bridge within 25 minutes and can make this a very desirable place to live. The SM1 and SM2 housing market is typified by the area’s Victorian roots with many distinctive bay-fronted houses dotted around the streets. Original 1930’s houses and later apartment blocks can also be found, making property buying far more affordable than you would find in the city centre. Before you decide which one of our incredible removal services in Sutton, SM1 you need, why don’t you speak to one of our customer service advisors? They can give you the low-down on all of our moving services and can even help you to work out your removals budget. With our enchantingly low prices and charming team you are sure to be left inspired by our incredible deals. All of our Sutton man with a van packages and van hire deals can even be hired at short notice for any last minute changes. If you’re not sure whether our services are comprehensive or specialised enough for your move then give us a quick call to check first – 020 8746 4402. Our Moving Service team have a great range of equipment and resources right at their fingertips and will always endeavour to give you the move of your dreams. If you want to get a head start with your move then why don’t you buy some of our quality removal boxes in Sutton and packing materials now! Our handy online packing guides can help you figure out where to start and are sure to give you the confidence you need to get going on your move! Moving Service has fast and efficient movers. Polite and considerate of all of my items. Nothing banged, scratched or damaged. Affordable, great house moving service in Sutton.